With the hardcover release only weeks away, I'm anxious to see how Sanderson will lead us into the final chapters, but I'm even more anxious to read those final scenes, drafted by Jordan before his death. I've been invested in this series for the better part of a decade, and despite a few soft spots where I really doubted whether the saga had a final destination in mind, I've enjoyed every page. I've been meaning to give Martin a read for several years now, and have the first two volumes of her Chronicles of the Necromancer saga sitting on my shelf. As much as I'd like to get caught up on that series first, there's always something attractive about diving into a new saga alongside other fans, new and old alike. 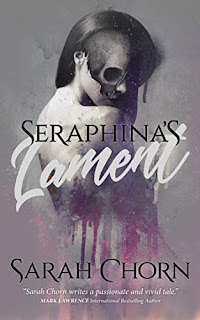 After her long absence from the world of fantasy, Rawn returned to publishing with the first 2 books of what would be an unfinished urban fantasy saga. 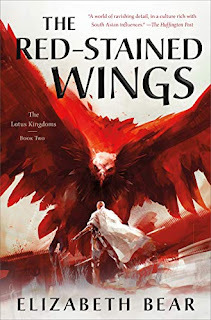 I'm quite excited to see her having returned to the world of fantasy, and even if I'm a book behind, I'm glad to see Tor continuing to support her. I've fallen way off the rails with Feist's work, with The Serpentwar Saga being my last dip into the world of Midkemia, but the final Riftwar novel has me excited . . . and not just for the ominous title. I've got 2 books to read before this, but I may just have time to catch up. A new book from a new author, this is one of those accidental discoveries that immediately captured my attention. It sounds like an interesting read, with a good mix of ideas and entertainment, so here's hoping it's worth the wait. 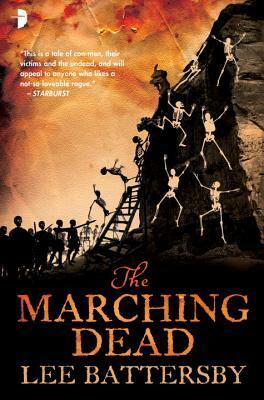 This is one of those books where I plan to sequester myself away from the world, to find a comfortable spot on the couch, and just chuckle my way through the second chapter of the undead adventures of Marius and Gerd. I'm not sure anything can top the freshness of The Corpse-Rat King, simply because it was such a pleasant surprise, but I'm sure it'll be worth the wait. I kind of drifted away from my fellow Canadian for a few years, but coming across a chance mention of the Fionavar connection in his urban fantasy, Ysabel, I've been happily back on board. Under Heaven has been my bedside paperback pleasure read for a while now, and I'm anxious to follow the story through a few more generations. With an all-star cast that includes the likes of Patrick Rothfuss, Brandon Sanderson, Tad Williams, David Anthony Durham, Michael J. Sullivan, and more, this is a stunning collection being put together for a good cause. Judging by the table of contents, this is one collection I suspect I'll be reading from cover-to-cover. I'm on the fence as to whether I'll read this one right away, or whether I'll take the time to get caught up on the The Riyria Revelations first. Sullivan has promised the two series can be read in any order, and that exploring the history of Hadrian and Royce won't spoil anything, but I'll have to wait and see. While The Shining has never been my favourite King novel (I blame that on having seen the movie long before reading the book), I'm curious to see how he'll catch up with Danny Torrance all these years later. I may be reading too much into a cover blurb, but I have a feeling there will be another tie to the Dark Tower saga here. 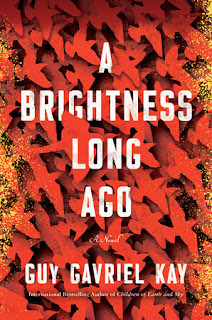 There are a few others that I'm hoping to see in 2013, like The Last Dark from Stephen R. Donaldson, Highprince of War from by Brandon Sanderson, and King Breaker from Rowena Cory Daniells, but right now they're just glimmers of hope on the horizon, with no firm release dates in sight. I need to sit down and do a "most anticipated of 2013" list. I have had such a hard time concentrating on books in 2012 (I have no idea why) but I always love the peruse the upcoming titles. OOh nice! Haven't heard of these but they look like intriguing reads! Thanks for visiting my WoW & happy holidays! All of these seem incredible. I definitely am going to be checking them out. Thanks for sharing. Hope you enjoy them all when you get them. I need to get caught up with Jordan. 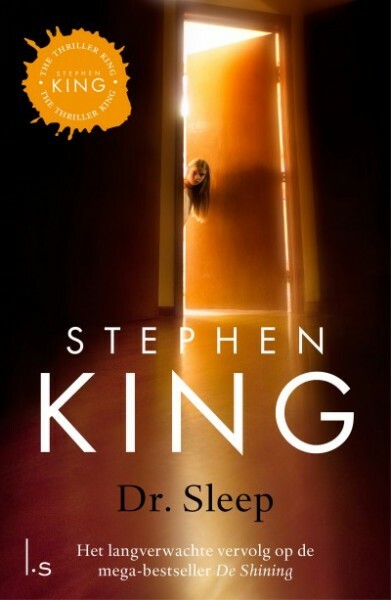 I generally read YA, so I haven't read any of these books, but I happened to JUST read The Shining for the first time last month, so now I'm really looking forward to Dr. Sleep. And I LOVE the Dark Tower Series!! Have fun with all your reading and happy holidays! wow, these all sound very interesting and exciting, Bob. Especially ICE FORGED, MAGICIAN'S END and QUINTESSENCE. If I'm correct the last one was sold for movie adaptation before the publication, but I'm not sure, I think I wrote about it at HOLLYWOOD SPY earlier this year.